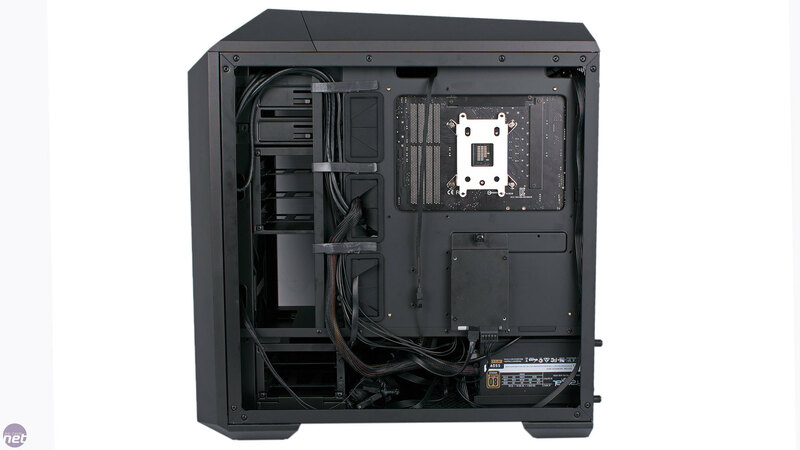 The cooling performance offered by the MasterCase Pro 5 is strong, and the combination of well-ventilated front and roof sections and a trio of 140mm fans ensures a consistent delivery of cool air to critical components. Our CPU reached a delta T of 60°C, and dropped to 59°C when we removed the 3-bay HDD cage and opened up the airflow even more. 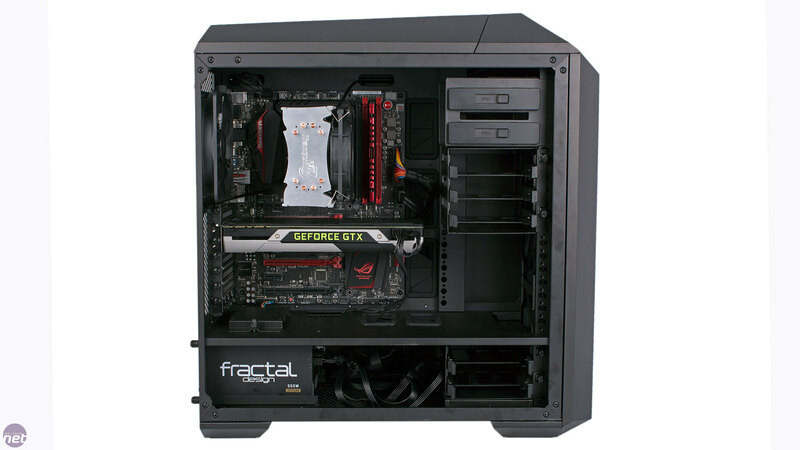 This is a more than adequate result which betters the less ventilated cases that we've tested. 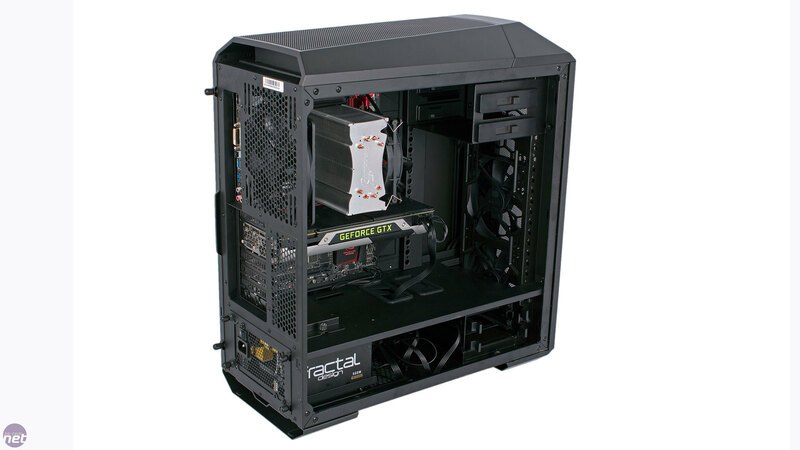 As for the GPU, the MasterCase Pro 5 again does well. Its delta T of 43°C is the best we've seen with our GTX 980 so far, although we have only tested a handful of cases with our new kit at present. Removing the HDD cage did not improve the result, which suggests that even with some drives installed airflow to the GPU will be good. A final good word is that the noise from the trio of fans was definitely on the low side during testing, as even at full speed they do not spin that fast – with so much mesh, they don't need to whir around loudly to be effective. A number of you responded positively to Cooler Master's unveiling of its MasterCase series in our Computex 2015 coverage, and it seems that by and large that was a justified reaction. The MasterCase Pro 5 is a well-made case with plenty of functionality and flexibility, as well as good performance and fairly low noise. The modular systems work well and the limited accessories on offer are all very easy to use. The downside is that it is really rather expensive for what you get, even with all of the above considered. When we were reviewing the Pro 5 initally, we were fully expected a sub-£100 price tag for it, and a price of about £70 for the base unit. Our estimations were off by a good £20 to £25, which is never a good sign. 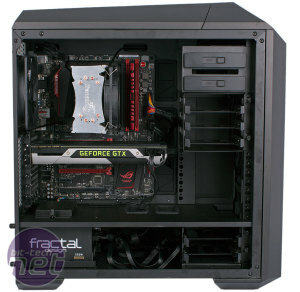 The NZXT H440, Fractal Design Define R5 and Corsair Obsidian 450D, for example, are all less expensive than the Pro 5. 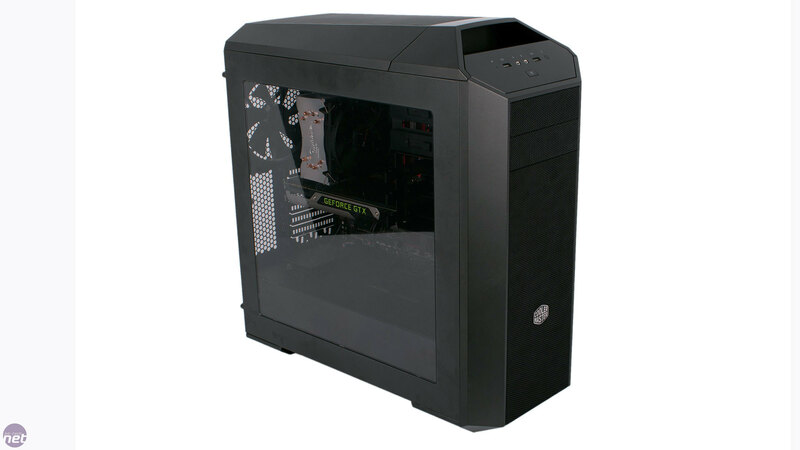 Of course, you could opt for the basic MasterCase 5 for £90, but to be honest that feels even more expensive - a case at that price with no window or roof radiator support and only two 3.5in drive bays is really asking a lot. Naturally, we are dealing with MSRPs only for now; prices may be a little lower a few weeks after launch. Ultimately, it will depend on how sold you are on the concept of the FreeForm modular system, and how expensive individual accessory upgrades end up being. 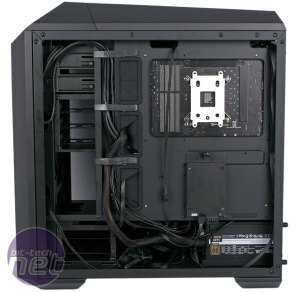 Cooler Master is not really helping itself in this regard either, with very little concrete information available on accessories outside those covered here and no pricing whatsoever. 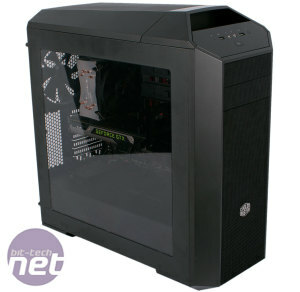 The MasterCase Pro 5 offers a windowed side panel, radiator bracket, roof cover, 3-bay HDD cage and an extra 140mm fan all for £20, although some costs are of course saved by shipping everything together and on the materials no longer required for the side and roof sections that the upgraded parts replace. 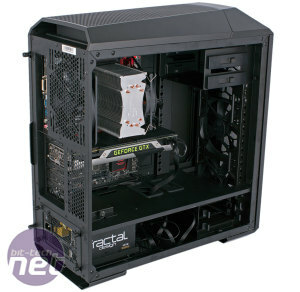 Buying these parts separately will certainly cost more than £20 and as such we can't imagine many wanting to go for the MasterCase 5 over the MasterCase Pro 5. Overall, we still think this is a good idea that will hopefully take Cooler Master in a positive and interesting direction, and we credit the company for trying something new so wholeheartedly. However, it's an idea that needs to play out more before it can be fully embraced. This launch would have been stronger had a full catalogue of accessories with confirmed pricing been available immediately, perhaps with a dedicated microsite showing the multitude of configurations possible to really get people onboard. From a standalone perspective, the MasterCase Pro 5 is a good case in all the areas that count - if you like what you see it won't let you down. However, without a clearer picture of where the Make It Yours and FreeForm concepts will end up, the current pricing is too high for it to snag an award.